Pinot noirs from McMinnville typically exhibit a strong backbone of tannin with darker fruit flavors that are rounded out by spice, mineral and earth notes. White wines from this region are bright and fruit-forward. The McMinnville area has a long farming history that dates back to the mid-1800s when berry fields, tree fruits and livestock dominated. All that began to change when, in 1970, one of Oregon’s winemaking pioneers, David Lett, bought an old turkey processing plant in the city of McMinnville to house his winery. 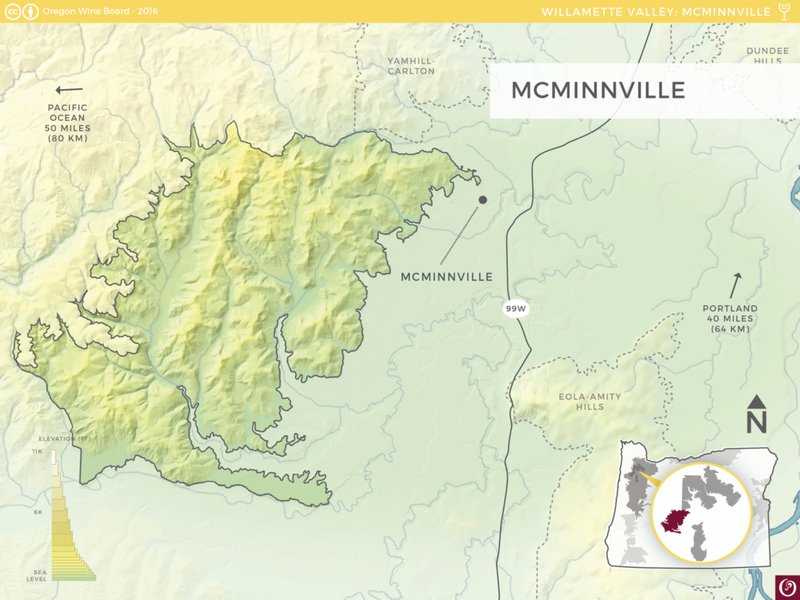 Soon after, winegrowers began planting vineyards and establishing wineries in the area and, in 1987, McMinnville held the very first International Pinot Noir Celebration. Held every July since, it’s a wildly popular three-day event where winemakers and enthusiasts from all over the world congregate for Pinot noir tastings, winery tours and seminars. 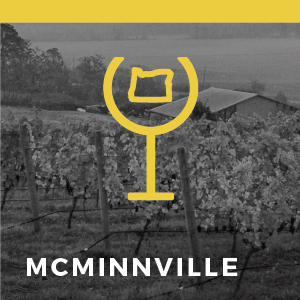 The McMinnville AVA was established in 2005.